Last year, I extracted pretty much all the walls and floors from TSM, as well converted some things from TS4, but never got around to sharing them- So I've finally got off my backside and taken some previews! 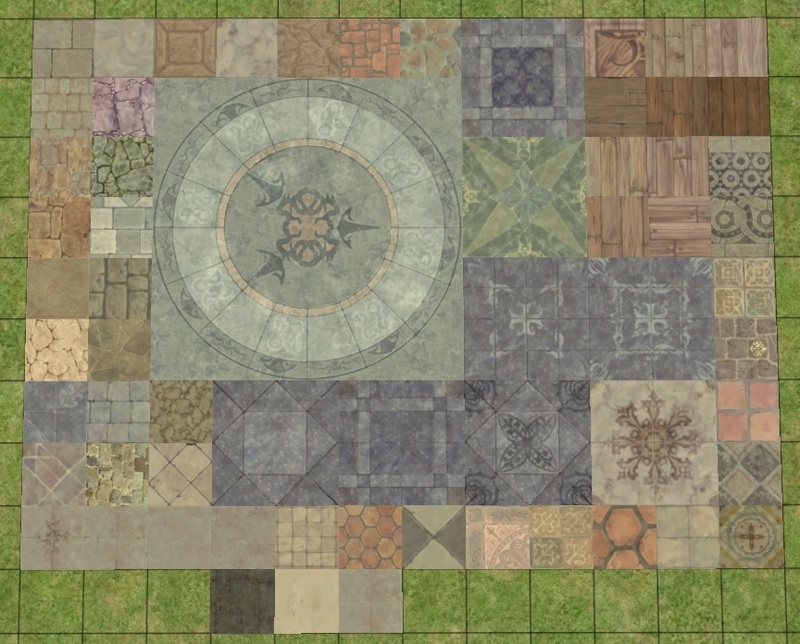 96 TSM Walls- there are 2-4 walls of each design, which combine to make a seamless pattern. They should all be in categories that make sense- Stone in Stone, Wood in Wood, Tiles in Tiles, etc. 63 TSM floors- They should all be in categories that make sense- Stone in Stone, Wood in Wood, Tiles in Tiles, etc. TS4 conversions: Bookcases + PlasticBox's add-ons, 2 desks, portrait painting, globe, old books, and trunk coffee table. 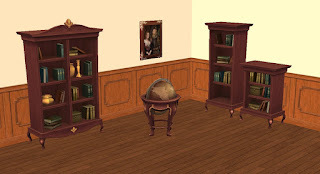 I didn't do the original Goth and Caress bookcases because they had already been done. 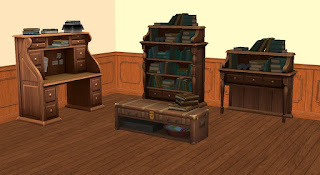 Book cases are in Hobbies -> Knowledge, Desks are in surfaces -> desks, trunk table is in surfaces -> coffee tables, portrait is in deco -> wall, and globe and old books are in deco -> misc. Includes all of the original colors for each object.